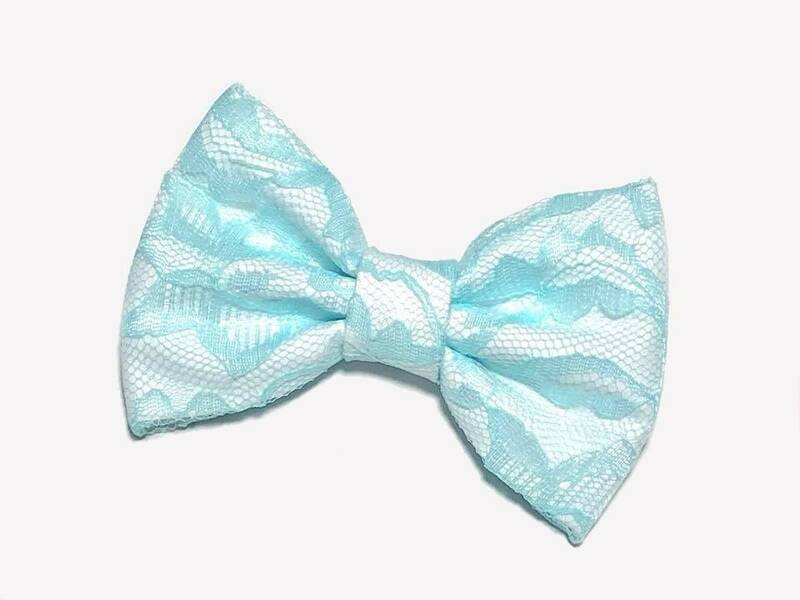 This Light Blue lace hair bow is a very elegant and chic, and would enhance any outfit. it is perfect for a special occasion, a wedding , anniversary, sweet sixteen, etc. but at the same time is is suitable to wear it to church or for a birthday girl. The hair bow can be wear at the side or in the back of the head in a ponytail or updo. it would look fabulous not just in little girls, it would also look fabulous on teens and adults, too. 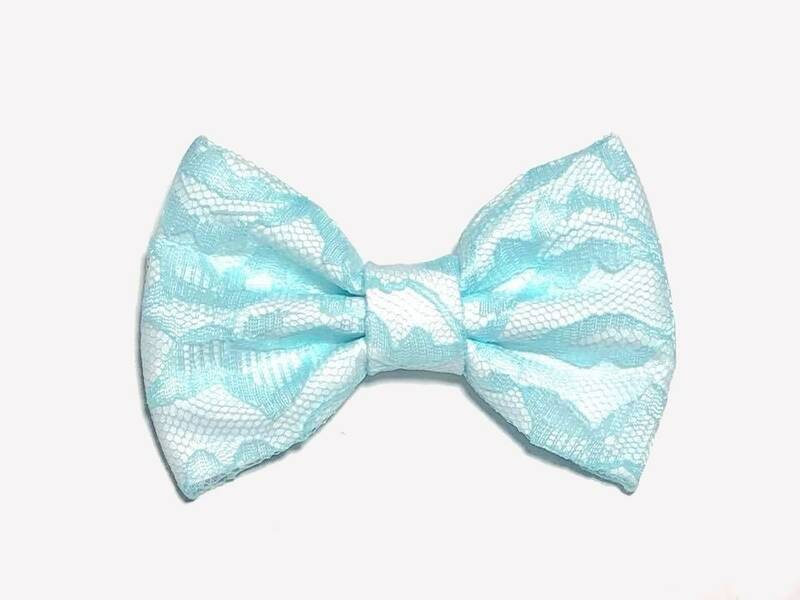 -This Light Blue hair bow is handmade on a white cotton fabric layered with a Light Blue satin lace fabric. For your convenience, I offer different hair clips and bow size so you can choose the one that meet your needs. You can also choose to NOT have a hair clip attached to the bow at all if you plan to use it to accessorize a dress, a belt, a bag, a racer back t-shirt, a hat, or whatever you heart desires to create. Big Bow - 5.5 in by 3.5 in (14 cm by 8.9 cm approx. )- Shown on head mannequin.